Key recommendations from a Department of Planning and Environment (DPE) report, which highlights the risk posed to Sydney’s drinking water supply by longwall mining, should be incorporated into the assessment of mining applications, WaterNSW said in a statement today. The Dendrobium Height of Cracking report’s findings are consistent with previous advice from WaterNSW regarding uncertainty around the impacts and water loss due to longwall mining in sensitive areas of Sydney’s drinking water catchment. WaterNSW has a legislative obligation to protect Sydney’s catchment, but has no power to control or stop mining in declared catchment areas. The high risk posed by proceeding with proposed Dendrobium longwalls 16-18 in area 3B. 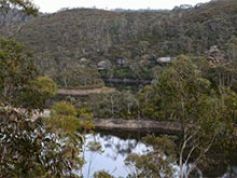 WaterNSW also supports the recommendations for action to assess the potential for connection between mined areas and Cordeaux and Avon Reservoirs. WaterNSW is reviewing recent monitoring results to determine mining impact in the Cordeaux area. WaterNSW actively monitors mining in the catchment and alerts DPE where impacts exceed predictions or approval conditions. Regarding the 2016 Audit of the Sydney Drinking Water Catchment, WaterNSW supports a recommendation for a broader assessment of the cumulative impact of mining in the catchment and is working to identify the most accurate method of assessing water losses due to mining. WaterNSW is on record stating that the potential for irreversible impacts on the quality or quantity of water in sensitive areas of the catchment due to longwall mining warrants the highest level of caution when considering mining proposals. This position is reflected in WaterNSW’s Mining Principles that underpin the advice provided in relation to mining in Sydney’s catchment, including potential impacts on its water supply infrastructure works and Special Areas. Recent observations of surface impacts exceeding predictions are consistent with evidence examined during the cracking study that indicates connective fracturing of the rock strata over some of Dendrobium Mine extends through to the surface. These observations and the study findings both indicate that higher volumes of surface water are being diverted into the underlying rock strata than predicted by mining companies. Approvals for additional longwalls at Dendrobium Mine being curtailed while further studies on the likely consequences of longwall mining are undertaken. A requirement that Dendrobium Mine rehabilitate two streams and a number of swamps adversely affected by its mining activity.